“Come to Him, and be enlightened”. The purpose of prayer is, simply put, the experience of prayer. And this is coupled with contrition and tears. Tears of repentance are born only through prayer. And prayer again is born only through tears of repentance. St John Climacus stressed this by saying that prayer is the mother and the daughter of tears. “All the virtues and powers of God are attained primarily by prayer. Without prayer there is no spiritual life. If you are not successful in your prayer, you will not be successful in anything, for prayer is the root of everything” (Father Thomas Hopko). “He who is able to pray correctly, even if he is the poorest of all people, is essentially the richest. And he who does not have proper prayer, is the poorest of all, even if he sits on a royal throne” (St John Chrysostom). “Prayer on a daily basis creates a rhythm to our lives and helps us in attaining the central goal of human life: to become more Christ-like. We may attend Church regularly and be involved in our parish socially, administratively etc, but if we do not take that one-to-one time with the Lord every day to renew and re-vitalize ourselves with Him, we may find that Christ is no longer our central focus. We can become so involved with the details of modern living that we can forget and lose the joy of real life, squeezing out the Lord. “Using the established prayers of the Church and the Psalms can and should be a liberating experience for us, one in which our own spirits become more open to the Spirit of God. We soar to the heights of communion with Christ in glimpsing His Way. When we feel His nearness, we receive a foretaste of Heaven. Prayer helps to lessen our dependence on erroneous models for living, such as pride, fear, self-centeredness, and lack of love for others” (Theodora Dracopoulos Argue). “It has been correctly said that the greatest privilege, but also the greatest problem for the faithful, is prayer. The truth of this observation is clear, since it has to do with the most unequal and unheard of relationship , namely communication between created human beings and the uncreated God. This form of communication is first of all impossible and inconceivable, since there is an unbridgeable gap between the corruptible substance of the human person and the supersubstantial and inaccessible God. 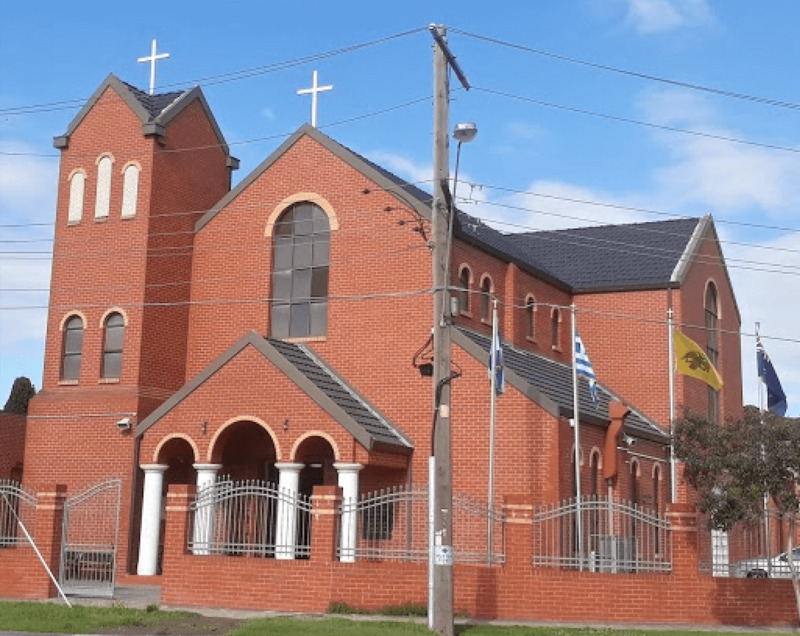 Yet, that which is not possible according to essence, God makes possible and achievable according to His grace and love for humanity” (Archbishop Stylianos of Australia). We need to follow the exhortation of the Apostle Peter and be watchful in prayer , that is to be attentive with our eyes wide open. We need to have forgiven deep in our heart those who have wronged us. The Fathers stress that even if we are not to blame for the breakdown in relations with our fellow human being we must be willing to forget the wrong that they have done to us. The faithful person seeks neither revenge nor to pay back , for the faithful know that only God is entitled to something like that: Vengeance is Mine, I will repay (Rom. 12:19). The atmosphere of prayer must be one of mourning, contrition and repentance: a broken and humbled heart God will not despise (Psalm 51:19). WHAT PRAYERS SHOULD I SAY? HOW OFTEN AND WHEN SHOULD I PRAY? The saints in their writings stress the need for a specific format of prayer called the rule of prayer . The idea is to choose a set of prayers that best suits our individual needs and to use it every day. This rule should come out of an Orthodox prayer book which contains prayers written by holy people. The rule is a discipline which helps develop our relationship with God, and because the prayers were written by people who came very close to God, they help us enter that mindset. We can speak to God in our own words, but this is in addition to our rule of prayer. Petition — we can express our needs to God, but need to acknowledge that God knows what is best for us better than we do, and we need to primarily ask that God’s will be done in our lives. We ask God to guide us, help us to live His way, to serve Him, His Church and other people. Our primary request in prayer needs to be for the pardon of our sins.